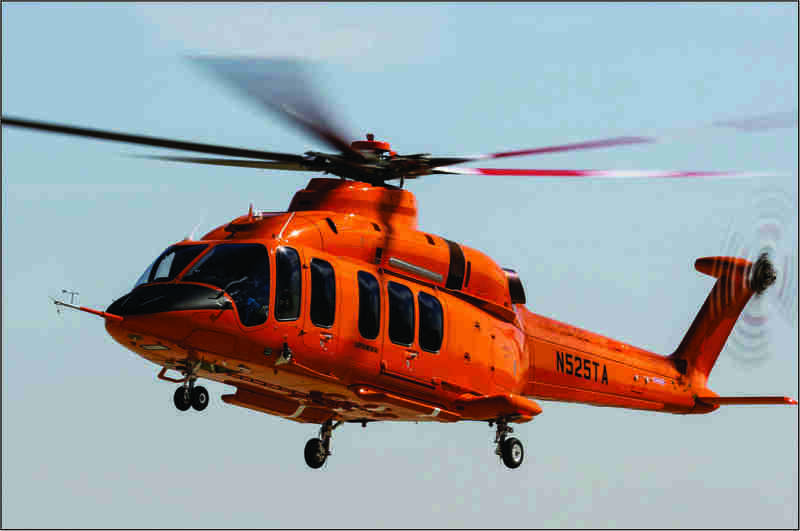 Bell Helicopter, a Textron Inc. company, announced the successful first flight of the Bell 525 Relentless. The maiden flight of the super-medium helicopter took place at the company’s Aircraft Assembly Center in Amarillo, Texas. The Bell 525 was designed with input from our Customer Advisory Panel as an aircraft to meet future requirements for operational safety, payload & range, cabin comfort and configuration and reliability. One of the unique characteristics of the Bell 525 is the ability to perform CAT-A take-offs and landings, to and from a helipad at maximum gross weight. Even in the event that one of the two engines fails, the Bell 525 provides sufficient power to maintain occupant safety, while lifting off with a single operational engine. With over 60 helicopters reserved under letters of intent, the Bell 525 is designed to provide operators and end users unmatched situational awareness and the ability to perform a wide variety of missions under challenging weather conditions. “The first flight test started with taxi testing and manoeuvres and then went into an initial hover, performing various hover maneuvers and then tested low-speed handling qualities with winds gusting to 20 knots,” said Jeff Greenwood, Senior Flight Test Pilot at Bell Helicopter. The Bell 525 is the world’s first fly-by-wire commercial helicopter designed to operate safely and reliably in austere environments with decreased pilot workload. The aircraft features the first fully-integrated touch screen Avionics Suite designed for helicopters, the Garmin G5000H. Best-in-class payload, cabin, cargo volumes, and passenger comfort complement the technological advancements on the aircraft. Bell Helicopter, a wholly owned subsidiary of Textron Inc., is an industry-leading producer of Commercial and Military, Manned and Unmanned Vertical-Lift Aircraft and the pioneer of the revolutionary Tiltrotor Aircraft. Globally recognised for world-class customer service, innovation and superior quality, Bell's global workforce serves customers flying Bell aircraft in more than 120 countries. Textron Inc. is a multi-industry company that leverages its global network of Aircraft, Defence, Industrial and Finance businesses to provide customers with innovative solutions and services. Textron is known worldwide for its powerful brands such as Bell Helicopter, Cessna, Beechcraft, Hawker, Jacobsen, Kautex, Lycoming, E-Z-GO, Greenlee, and Textron Systems.